US stocks struggled for direction as no new major developments on the trade war saw trading volumes fall 10% below average. A mid-March meeting between President Trump remains the expected next step, but if trade representatives are unable to agree on the final terms of implementation and enforcement measures, we could see the trade truce rally face. Asia is unlikely to get a strong queue from the American session. The focus in Asia will likely have a great emphasis with Australia. RBA governor Philip Lowe will speak at the Australian Financial Review Business summit in Sydney. Since the RBA statement from last night contained little details, investors will look to see if Lowe is focused on stemming off the weakness in housing market and economy. Shortly after his speech begins, the release of Australian fourth quarter GDP could help support any easing signals. Current expectations are for the quarterly reading to remain steady at 0.3%, with the annual reading dropping from 2.8% to 2.6%. 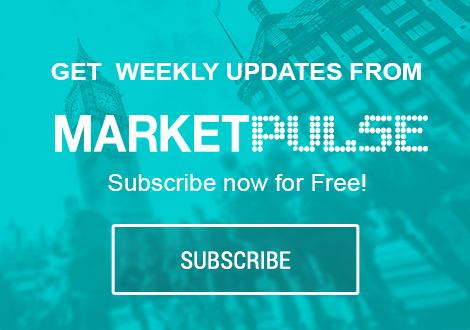 The British pound has been trading at the mercy of every Brexit headline, but once a deal is in place, we may see the focus tentatively switch to Bank of England resuming their tightening cycle. BOE Governor Carney testimony to the House of Lords helped cable pare earlier losses. Carney noted that he market path of BOE rates may not be high enough. Currently all the advance economies are pricing in no changes in policy or cuts with the exception of the BOE. Currently at coin flip for the November meeting, we could see expectations grow if and when we see a Brexit deal done. On the Brexit front, a UK Chief Whip Julian Smith noted that he is not confident PM May will get her deal pushed through Parliament next week. The Bank of Canada (BOC) interest rate decision is widely expected to see interest rates kept steady, with market participants looking for clues on how concerned the bank is with the housing market and the recent wrath of slower data. A few months ago, financial markets were pricing in a 25 basis point rate for the March 6th meeting. Current expectations only see 7.4% chance of a rate hike, with the majority split on whether the next move will be a rate cut or hike. The BOC is likely going to be patient on any policy queues and will keep a close on the falling housing market. A dovish statement is starting to be priced in and if weakness in the economy is worse than expected, we could see the loonie continue to slide. Crude prices saw the trade optimism rally fizzle after both a cautious note from Goldman Sachs on commodities and the announcement from energy giants, Exxon and Chevron plan to massively ramp up production in the Permian Basin. Goldman Sachs is shifting their strong recommendation on commodities to a more cautious stance. They expect supply to tighten sufficiently by April, indicating OPEC can claim mission accomplished. OPEC has signaled production cuts could extend till the end of the year, but ultimately could end up being constructive comments to keep prices stable. Exxon is looking to raise output by one million barrels of oil and gas a day by as early as 2024. Chevron is planning to double production over the next five years, that is a significant increase over their prior forecast. Oil is likely to play ‘tug of war’ here with production cut promises to be countered with rising output from the US. Slower growth concerns have been a drag for higher oil prices. This year’s Chinese oil demand is expected to from 12.9 million barrels per day to 13.2 million, the slowest pace in a decade. Oil may have a hard time making fresh highs if we continue to see global economic weakness in the first quarter. Demand for safe-haven assets have fallen out of fashion as hopes are high for a US-China trade deal to be finalized this month. Combined with a general backdrop that global growth concerns are easing, the precious metal is having its worse slide in almost two years. Today’s slide stemmed on better than expected US housing and service industries economic data. Profit taking could be responsible for prices finding tentative support just ahead of the $1,280 level. If the bearish slide resumes, major support may target the $1,250 level, which happens to be right around the 200-day simple moving average.